One of the great things about working for a bookseller is the diverse number of items you’re exposed to on a weekly basis. While handling books is always a joy, I didn’t expect such a wide variety of posters, pamphlets, original artwork, assorted ephemera, and other novelty items – which is my catch-all name for bookstore displays, promotional items and other assorted merchandise used to advertise books. Recently I was exposed to another category of non-books yesterday when I cataloged a collection of vinyl albums featuring prize-winning authors reading from their own work. I’ve learned that continually cataloging books without variety can be a bit tedious. When I started I was pointed to a collection of very modern books in great condition and told to start cataloging – and that’s what I did for three months. All the while I kept being asked how I was doing, and if I was getting bored. I didn’t get it at first. As a dutiful new employee I shouldered on, but after a while, despite my love for books, I realized that a change of pace is a good thing for your sanity, plus when you get to catalog something a bit unusual it adds an element of excitement to your day. The albums I mentioned had been sitting in a box by the downstairs office for months. They were part of the last remnants of a collection purchased in 2009 which contained items that needed to be better researched or were a just bit out of the ordinary. When you’re still in the ongoing process of cataloging a collection of 50,000-plus books, those types of items tend to get put aside for the sake of time and quantity. But since a change of pace is a necessity, yesterday the albums finally had their day. 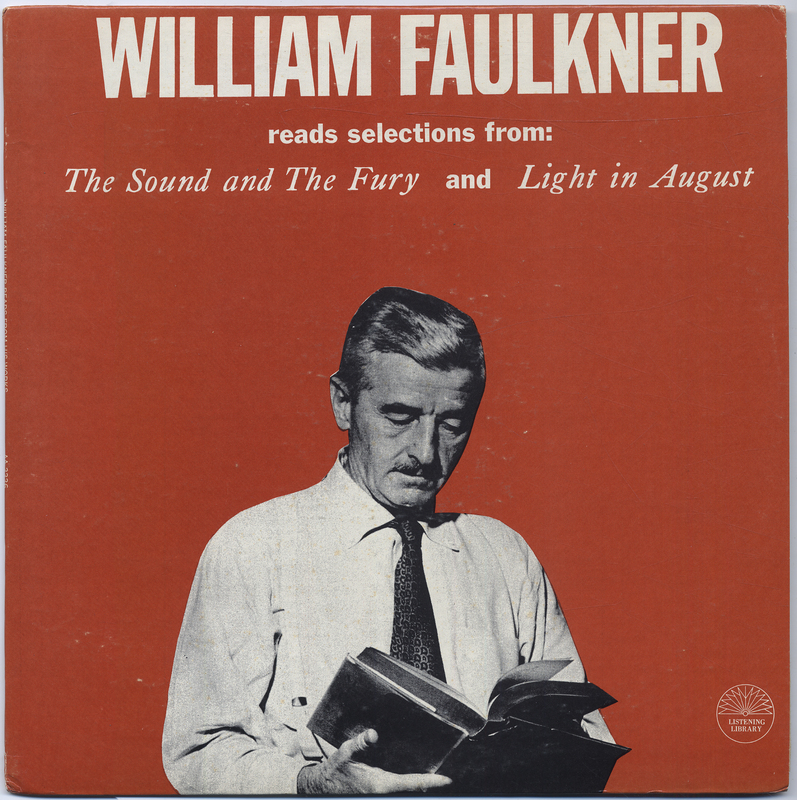 The albums featured a range of notable authors: William Faulkner, T.S. 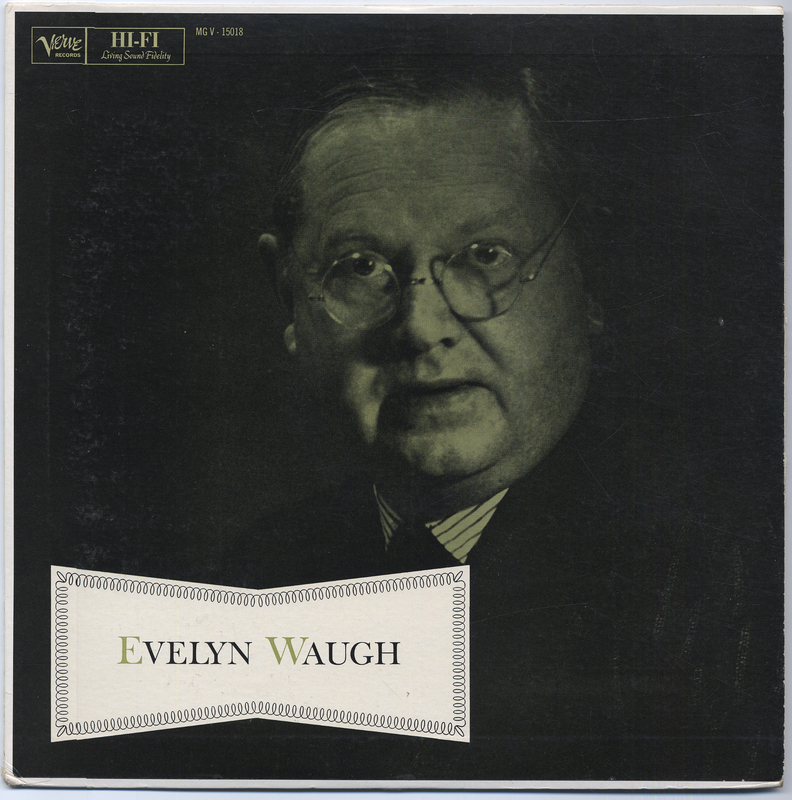 Eliot, Seamus Heaney, Evelyn Waugh, E.E. Cummings, Bernard Malamud, and Philip Roth, all reading stories, poems, or excerpts from their work. 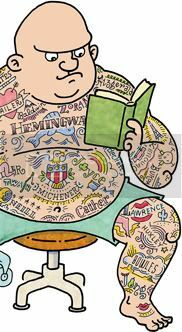 Today we’re a little spoiled when it comes to seeing or hearing famous authors (all it takes is five minutes on the internet to find a video from a reading). But years ago, hearing – let alone seeing – an author read their own work as it was intended was transformative. It not only brought the work to life, it revealed new meaning and depth through the author’s rhythm, their tone and the words or phrases they chose to stress or not stress. That’s why these albums are so wonderful. They bring an authors’ voices right into the readers’ home, no matter how remote. And maybe more important for us today, these albums helped captured those voices for today’s generation to enjoy. 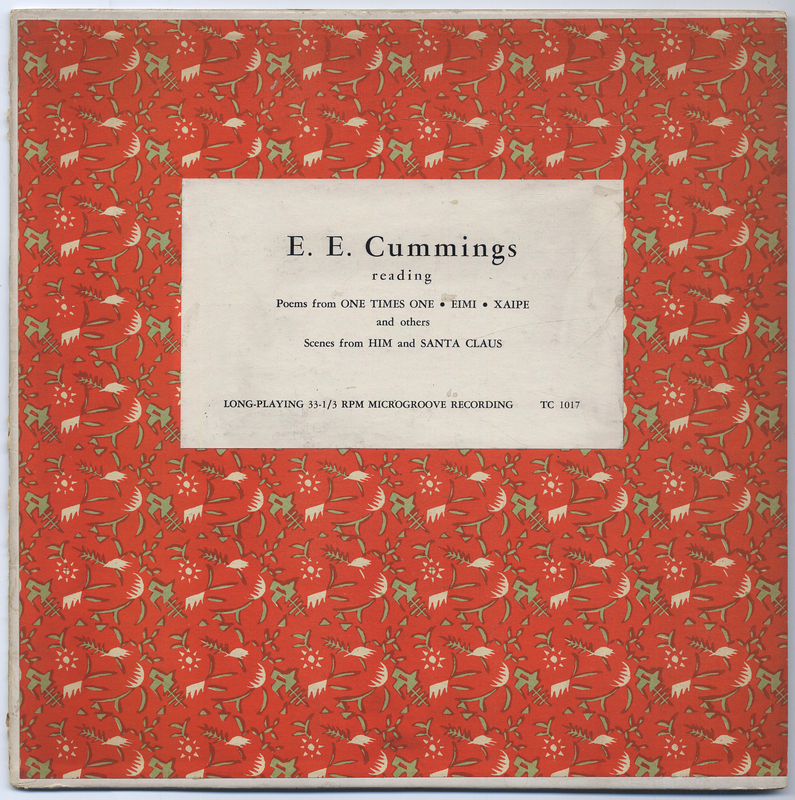 It’s fitting then that among the albums I catalogued was a recording of Elliot made by The Harvard Vocarium label, a collection of which was among the first inducted into the National Recording Registry at the Library of Congress. The label was developed by Frederick C. Packard Jr. in the early 1930s, in an effort to take advantage of the latest technology “to bring to life the voice of the poet” and was such a success that it produced over 100 records during its roughly 20 year history. By the time of its demise in the early 1950s other companies began to followed suit, inspiring thousands of recordings. I got a little taste of what it must have been like for readers – or should I say listeners –many years ago when I attended a reading by my favorite author, Jonathan Carroll. He’s an American author known for his stories of magical realism, who, while not a recluse, has lived in Vienna for the last 35 years. Attending one of his readings seemed like a long shot but sure enough he toured the U.S. to promote his latest book and stopped by at Between Books (no relation) in Wilmington, Delaware. It was a great experience that I’ll always remember. Years later I was happy to discover that someone with a camera also attended that reading and posted it on YouTube. Now much like the albums, no matter where I am, I can still hear him, and more importantly he can be shared with others for years to come.